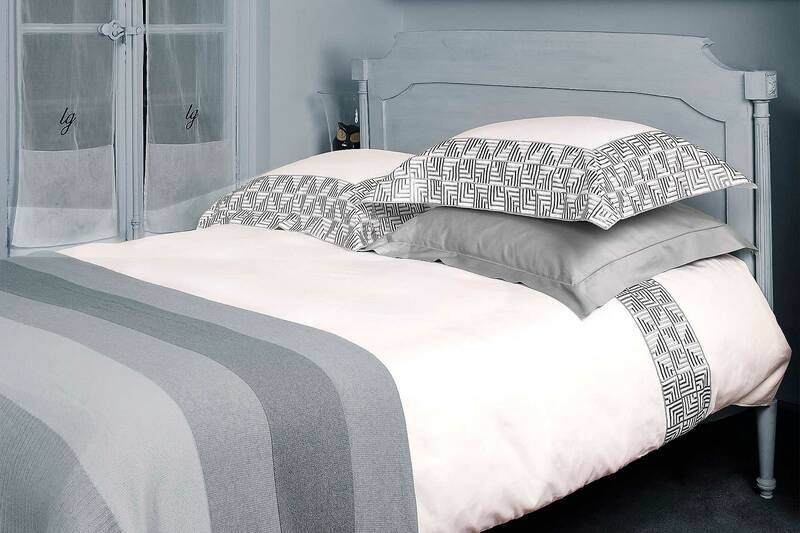 The duvets cover and top flat sheet are entirely in pure cotton satin, 300 thread count, produced with a large embroidered band applied horizontally as in the picture. The pattern embroidered recalls the straightness of New York’s roads and gives a touch of modernism to this Lisa Galimberti luxury bed set. Shams are made with four borders with the same pattern.